When the question is project management, of course, it is necessary to work as a professional. To work in writing or save on a computer or mobile notepad is never an ideal way. Notepad will never help you to manage your project properly. 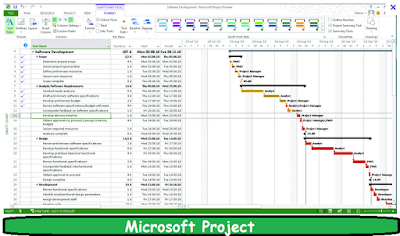 Using Powerful Project Management App and WebTool you can arrange and handle your projects extraordinarily. 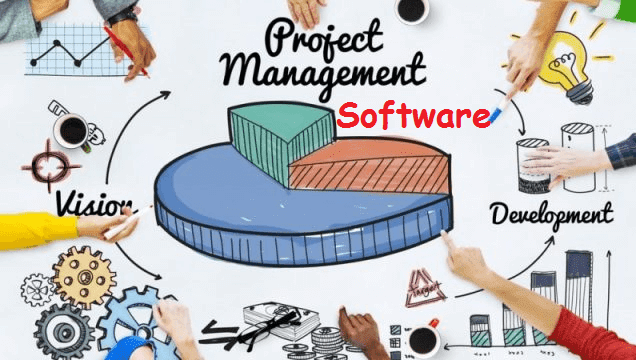 Though every tool is not according to your specific need, I will introduce you to some popular project management tools on this article. You must check it out. Each tool has its own advantages and disadvantages, so let's explore everything. I would like to Asana in my first choice. Because this app is very easy to use and its user interface will be memorized at first watch. This app is so good and well organized that all of you and your project members can easily manage the project just in time. You can easily organize tasks in different categories and can easily distribute tasks among project team members. Adding the deadline to any task, and adding project file and tutorial is is just a simple task. You can also make conversation in Asana easily and thus possible to keep members on track. 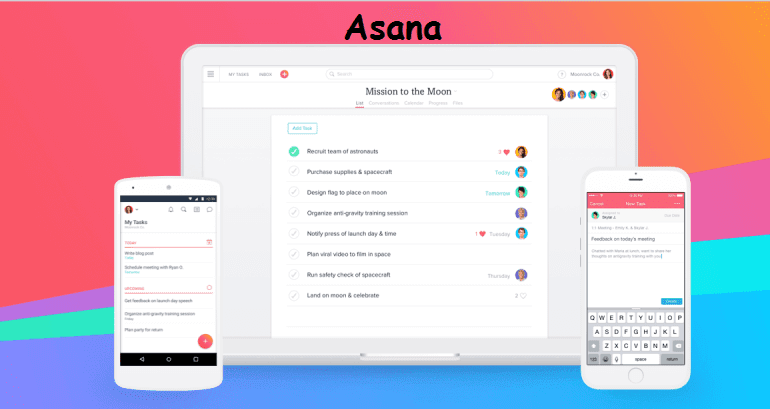 Asana has a text chatting system rather than call or video chat. Gives the ability to manage your project more importantly. This chat data will help you as a reference not only for just once but also any future problem. Although it is enough to handle small projects from its free version, but its premium version gives the ability to add up to 15 subscribers and offers more deep reporting facilities. You can control the task of any internet browser using web-based applications. It also has an app version for smartphones. Click here to access Asana from the web browser. There is a dedicated app for Android phones, which can be downloaded from here. Don’t worry, there are apps for iOS users also, just click here. Trello is my second choice. Breaking the tasks here and shown in separate card systems. It’s really amazing. Trello is very easy to use and like a to-do-list app. You can add files, images, videos, and also many things with the project. The best thing about it is that you use the app or use the web-based version, you can work in offline. When you are in online, the saved data will be synced with all the devices. 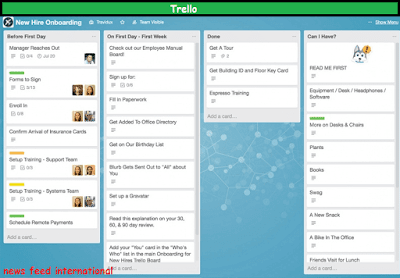 The basic version of Trello can be used in free. Many amazing features will be possible to unlock by using this paid version. The paid version will give you the opportunity of adding many project members, large team management system, separate Dashboard for each etc. Click here to use the web version. You can download the android app from here and IOS app is here. 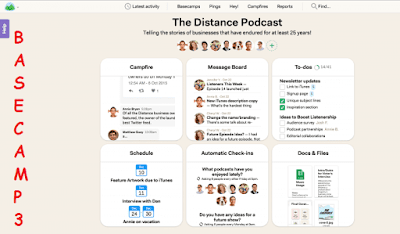 Basecamp 3 provides you such advantages those are expected from a project management app. 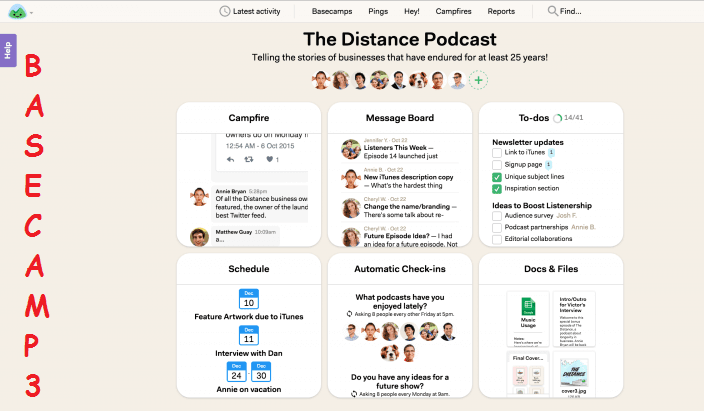 I am sure Basecamp 3 will provide you better facilities rather than an ordinary project manager app. As a special feature, file sharing, task, calendar, file storage, and chat sessions will always have focused you and your project. This tool is free for teachers and students. If your business is large, then Basecamp offers 3 flat rate prices for $ 99 per month or $ 999 per year. Both apps and browser versions are available. Click here for the web version, Android User Click here, iOS user click here, and MacOS user click here, windows 7 and for the above version click here. 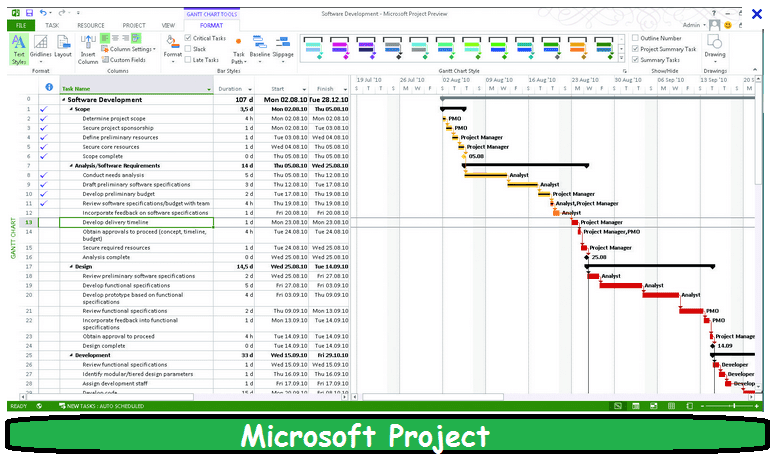 At the end of this list, I certainly would like to recommend to try Microsoft Project Manager at least once. This software has been stored since 1984 and has more than 20 million users. Of course, you do not need to give any idea about Microsoft; it is used by the world's largest companies as the first choice to manage their projects. It is added to the Microsoft Office. If you just want to use it you can pay for it. As it Microsoft’s so normally it goes to windows operating system easily. Unfortunately, this is not available for different platforms. Users of Windows 7 can download the software from here. So, from this Article, you have understood that every software has different and special features. Now, check what the best for your team. I would like to recommend you using the free version of the app. See if it is fit for you. If you have a lot of project and team members, then surely you will have to work to buy premium versions. If you have any question you can ask me in the comment box.